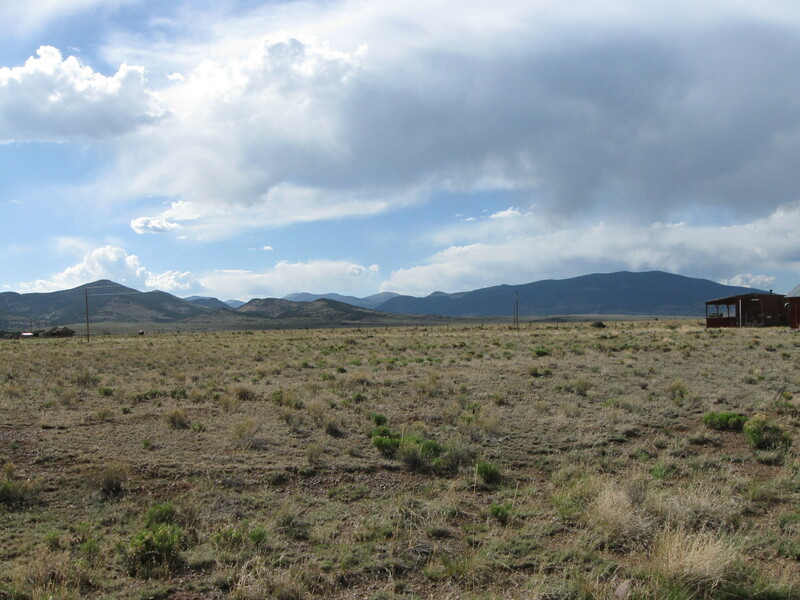 These beautiful, versatile, and well-priced recreational view lots are located in Southern Colorado, near the Town of LaJara and City of Alamosa. Build a seasonal cabin, pull your RV onto the lot, or just camp. 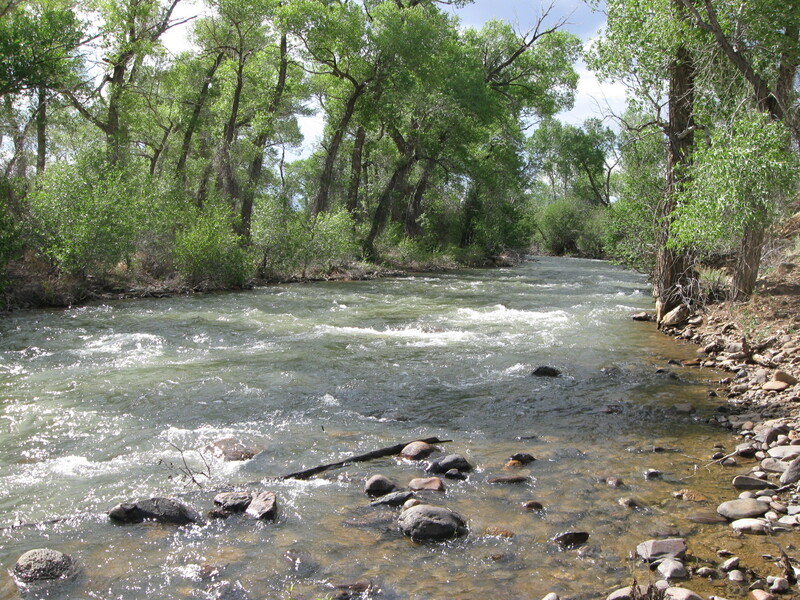 Then walk over to the robust Alamosa River, dip your line, and maybe reel in a nice rainbow trout. 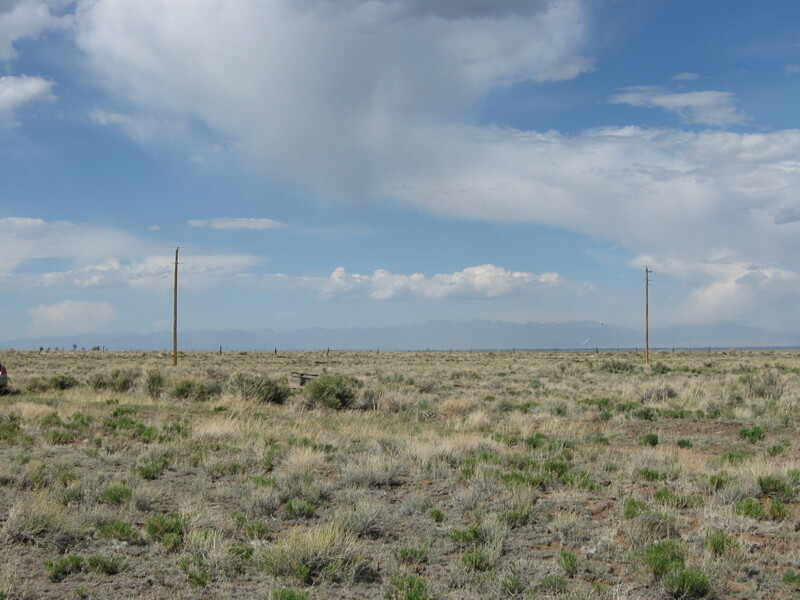 One acre M/L, in two flat building lots that could be used separately, on County maintained road in Alamosa River Estates. Power and phone one lot away, and can be easily and directly extended to your lots at nominal cost. 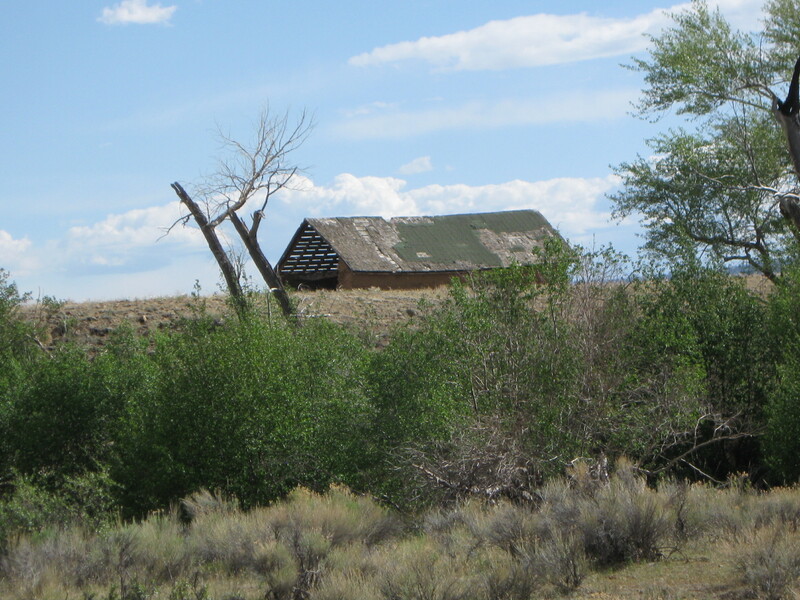 Several historic ranch buildings in the vicinity add interest and western ambiance. 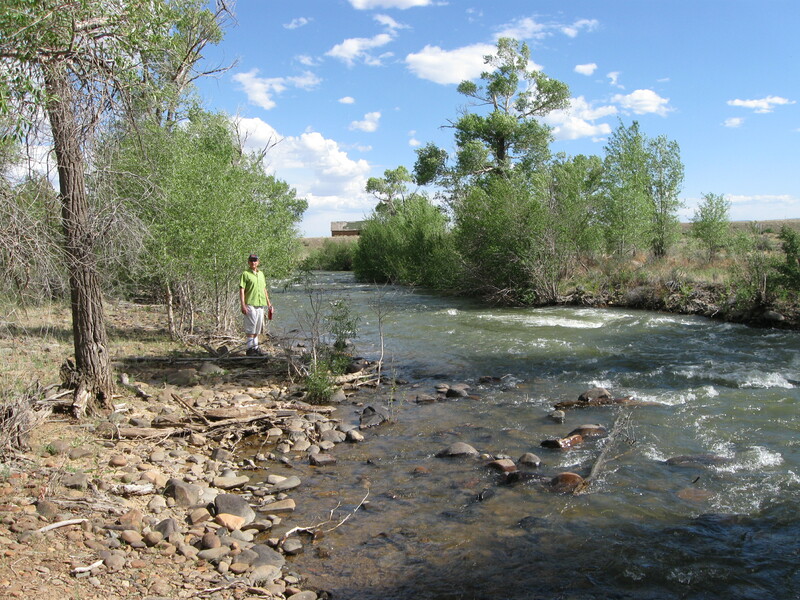 Walk to Alamosa River for fishing, wildlife viewing and aesthetic enjoyment. 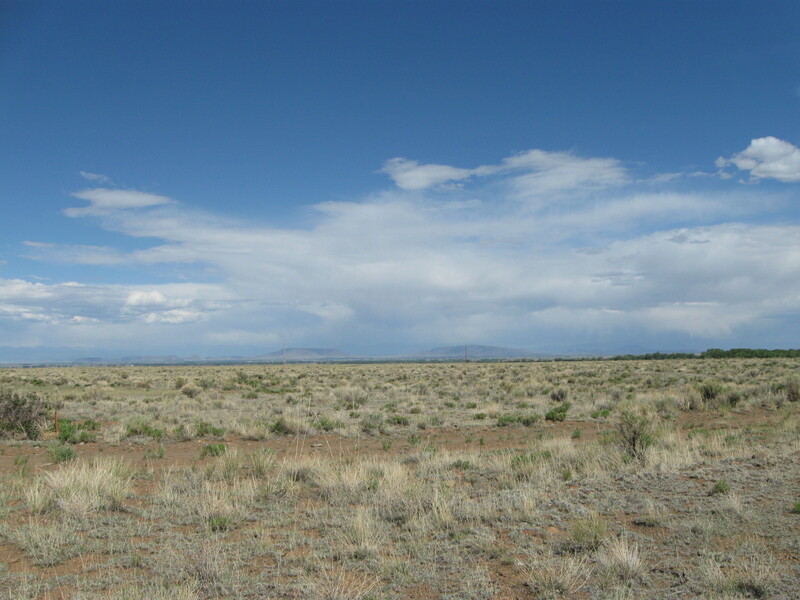 Close to La Jara and Alamosa for shopping and urban amenities. 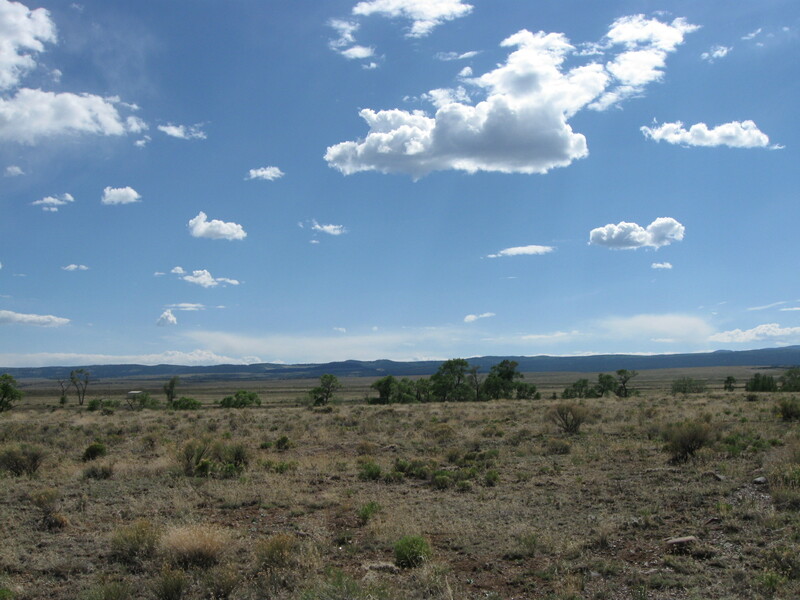 Easy paved road access to within 3 miles of the lots and maintained dirt roads the rest of the way. Beautiful mountain and prairie views. Quiet secluded lifestyle but close enough to urban amenities. $11,500 asking price. Terms available at asking price with 20% down, 8% interest, 2-3 years. 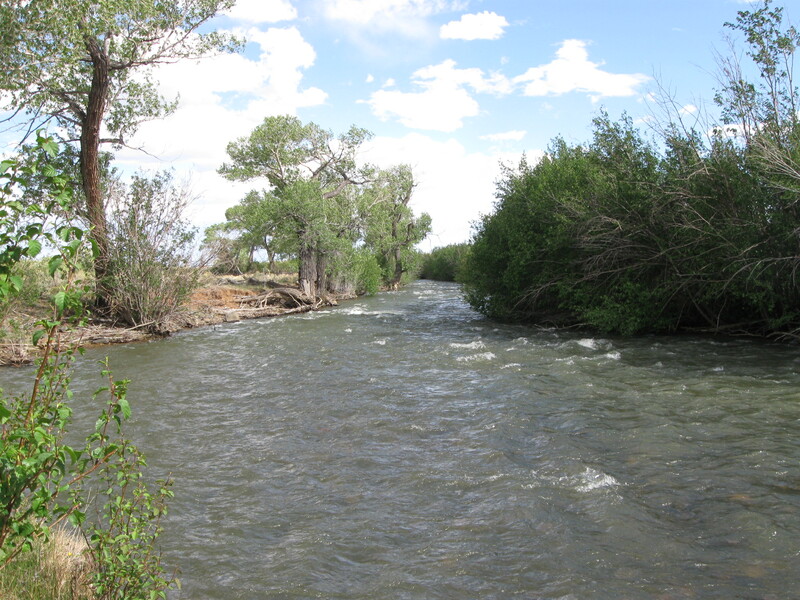 View a copy of the Alamosa River Estates Recreational Subdivision development plat map here. Find Lots 27 and 28, Block A, on the upper right of the map. 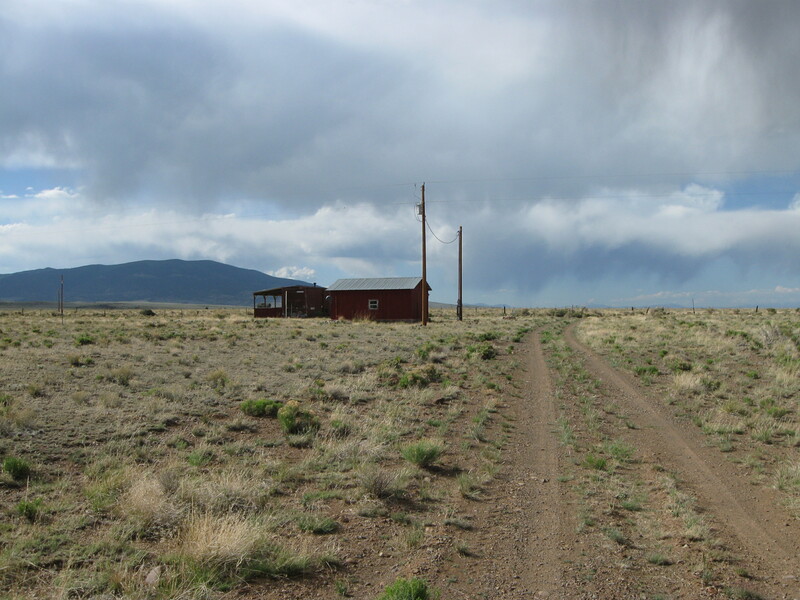 Look for dirt road on left, with red boxcar at the corner, and Alamosa River Estates sign. 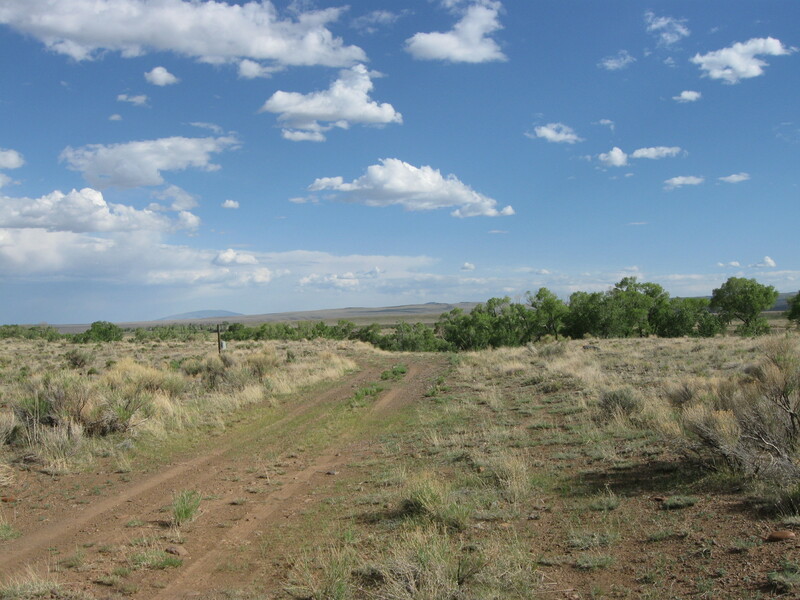 Go down that road about 500 feet, and the two lots are on the right (look for stakes and flags) across from an old ranch house and shed (which is on the left). 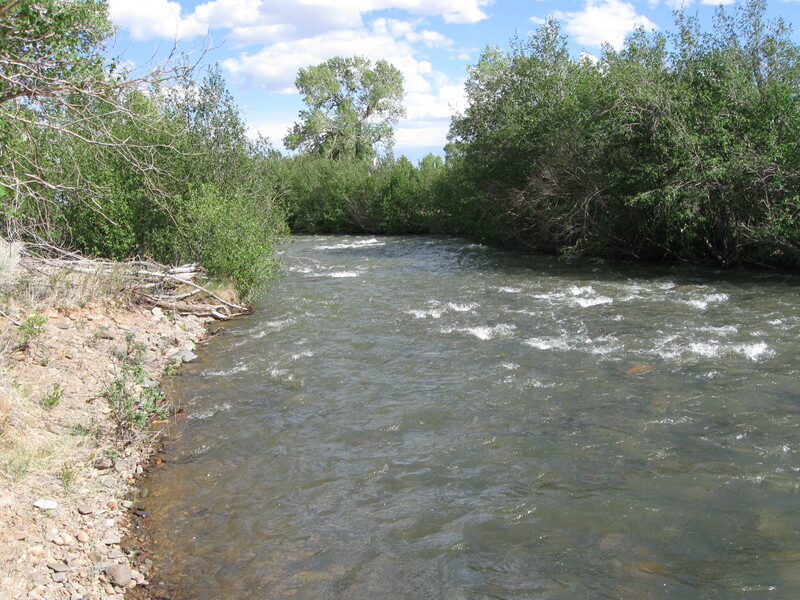 The area’s original developer is offering smaller riverfront (quarter (0.25) acre) lots for $18,000 apiece; see them here. We believe that our lots are a smarter and more practical investment. You can readily build a home or install a gravel parking pad pull-through for your RV. 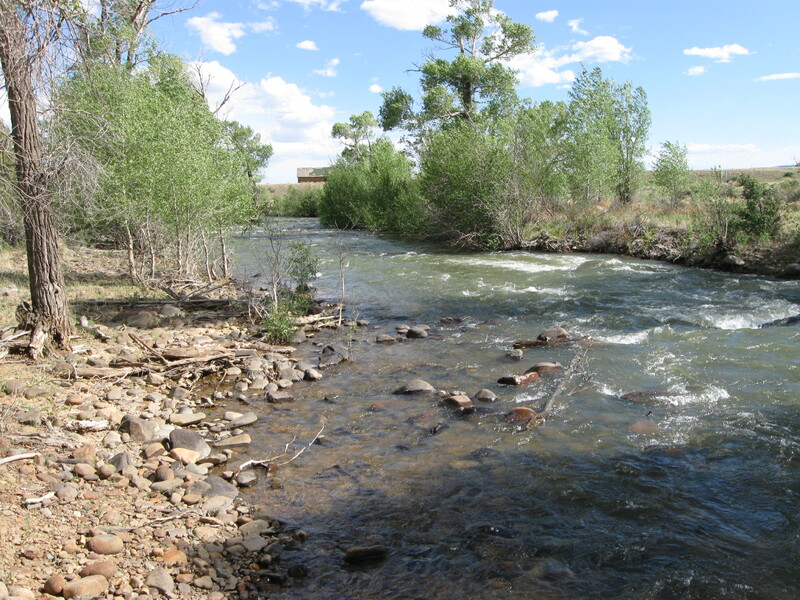 Drill a well (100 foot depths are possible), and install a septic system (soils appear to be well-drained), and you’ll have an economical family vacation retreat in a beautiful mountain area, with unlimited fishing river access and hiking nearby. 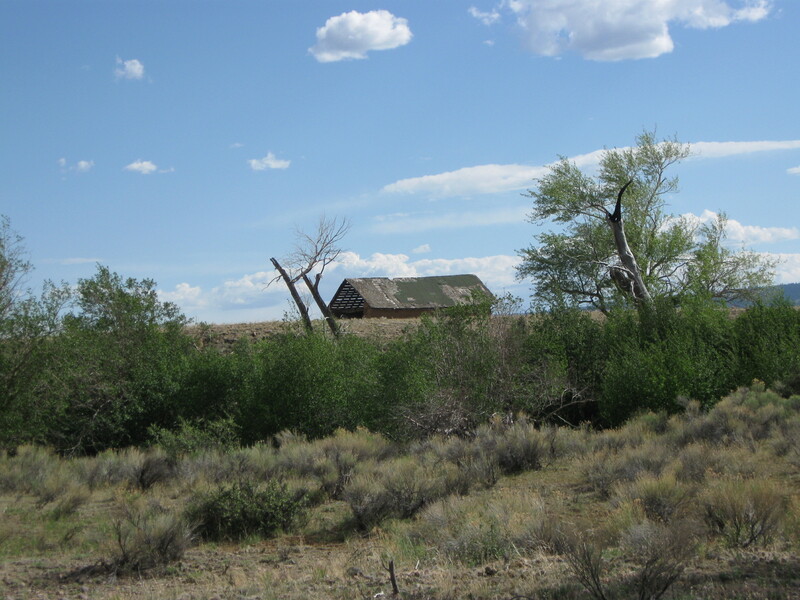 The Alamosa River Estates vacant lots are close to excellent schools, shopping and medical facilities, as well as two and four year colleges. 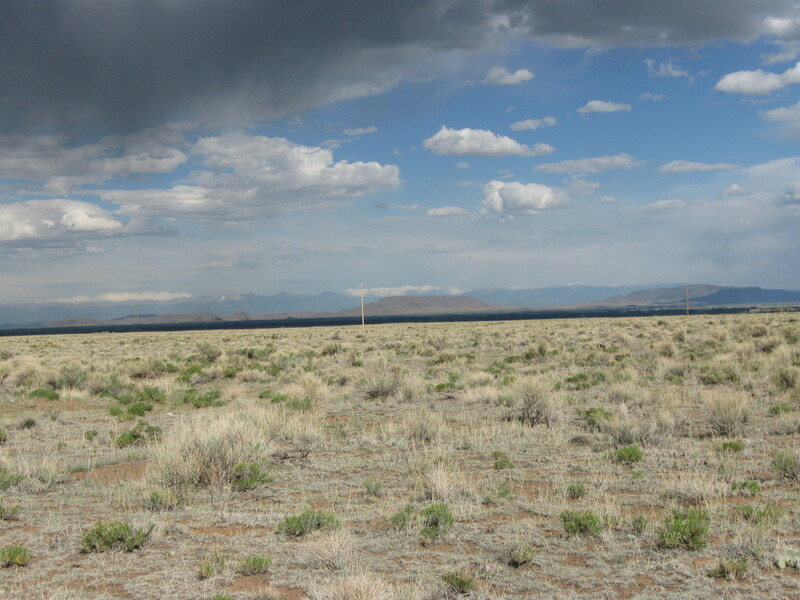 Alamosa, 30 minutes away, provides a challenging 18-hole golf course, warm springs swimming pool, indoor water park, several motels, numerous casual dining and fast food restaurants, Walmart, City Market (Kroger’s), Safeway, Stage, Ace Hardware, JC Penney, Sears, Dollar Tree, Adams State College, and Trinidad Junior College. Alamosa is a nice small city and has most everything that you would expect a college town to have. La Jara, 10 minutes away, has a good IGA grocery store, and several small businesses. Even closer is Capulin, with a small market and a few businesses. You can also shop in Monte Vista, about 30 minutes’ drive, with services more or less comparable to Alamosa. 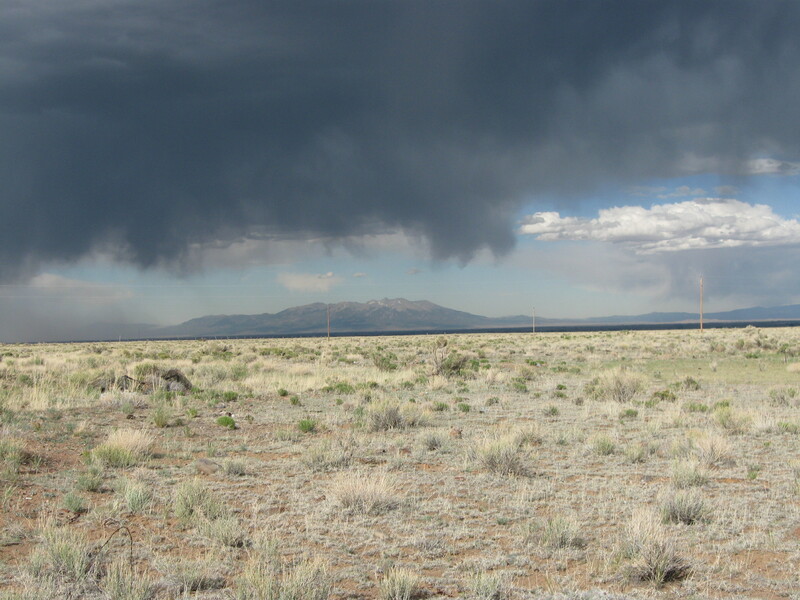 Or head off to Taos (one hour), Santa Fe (2 hours), or Albuquerque (3 hours). 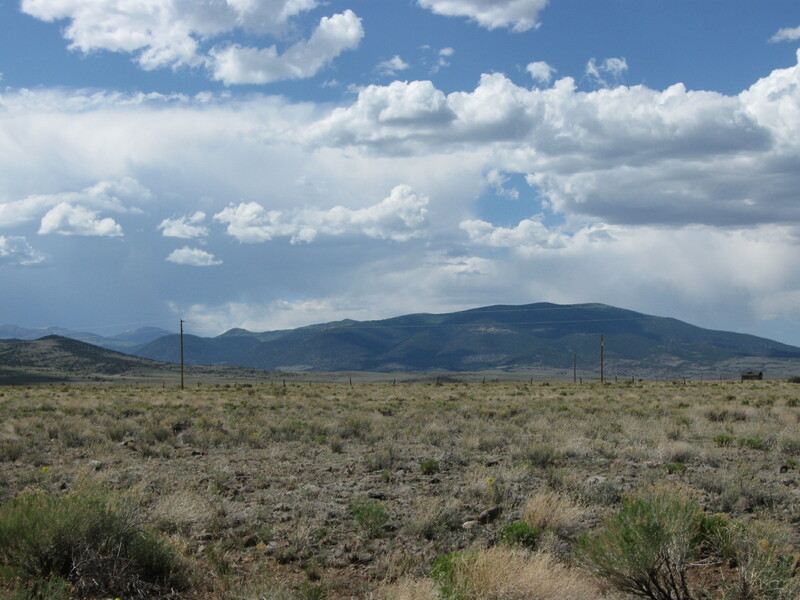 These lots enjoy a cool crisp 7500 foot elevation, and experience four beautiful seasons. The valley is surrounded by the gorgeous Rocky Mountains. 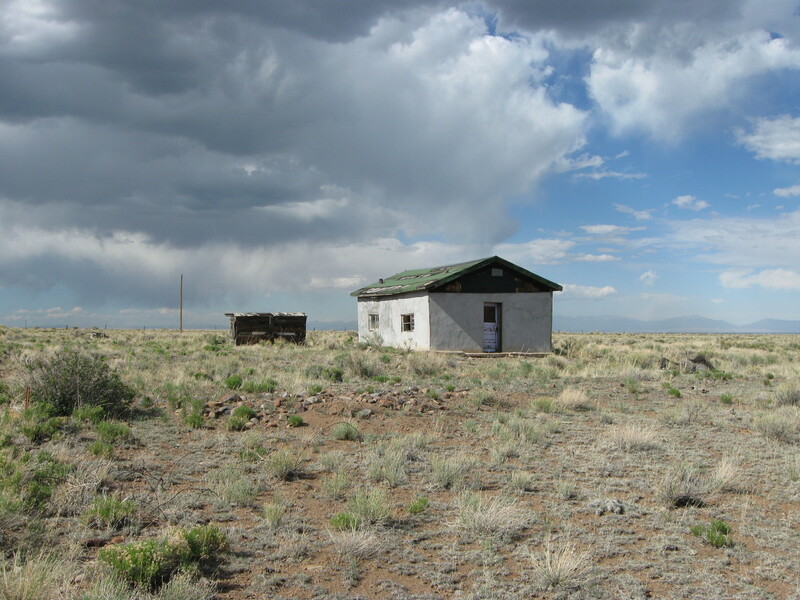 Several million acres of national forest and state land are available for public use. Get outdoors and try your hand at fishing, hiking, hunting, etc. 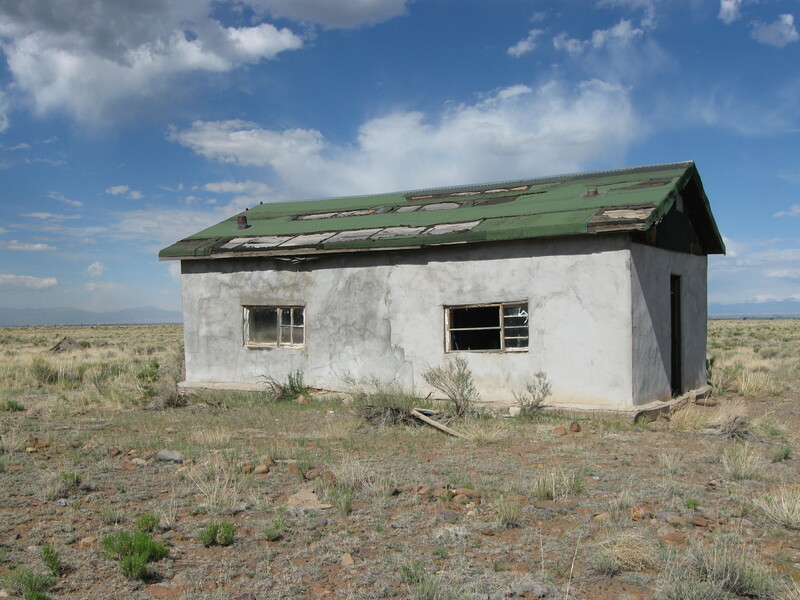 We have other Alamosa-area land here. View map of lots and local area here.